Great as a lightweight blanket, duvet cover and sham, Pylos is a pre-washed Italian linen collection with great texture. Woven in a waffle pattern for a simple and stylish addition. Machine wash. See product label for exact instructions. Great as a lightweight blanket, duvet cover and sham, Pylos is a pre-washed Italian linen collection with great texture. Woven in a waffle pattern for a simple and stylish addition. 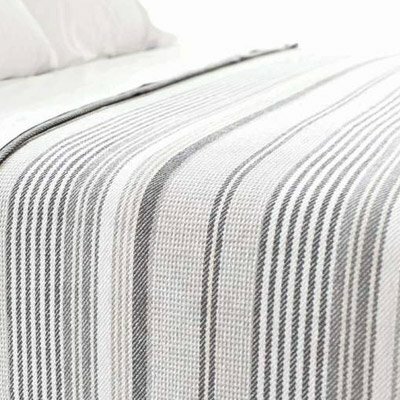 100% Italian linen Blanket: plain hem finish Duvet Cover: solid linen backing; knife edge finish Sham: knife edge finish; solid linen backing; zipper closure Made in the U.S.A. of Italian fabric Machine wash. See product label for exact instructions.